Tomb Raider (2013) made presence at several high profile stage demos at the 2012 Electronic Entertainment Expo last week, including the Microsoft Press Conference, plus private shows with GTTV, IGN: Live and G4TV. A fitting finale, the game was awarded "Best Overall Game" from IGN's Best of E3 Awards. GameSpot was last to stage a demo of the game, but pulled off by far the longest play. The media outlet has released three pieces of footage, devoid of any commentary or the noise of the crowds. 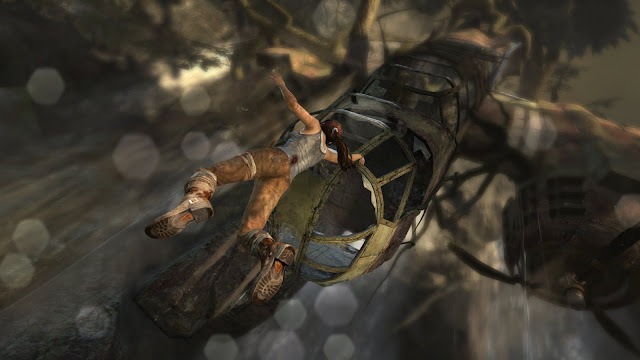 It is these videos that showcase the capability of the music to provide atmosphere to the environment, dynamically accompany tense game-play and most significantly apply emotional importance to key scenes where Lara must make troubling decisions in order to survive. Warning: significant plot elements, characters and dialogue are revealed in the following footage, which leads on directly from E3 2011's demonstration. Spoil at your own risk! Furthermore, cinematics presented appear to be individually scored. The composer remains unannounced but is expected to be revealed some time after the voice actress for Croft, the latter likely to be next month. The rumour is that Dead Space's Jason Graves holds the position.